"Texas House approves “born alive” abortion bill" was first published by The Texas Tribune, a nonprofit, nonpartisan media organization that informs Texans — and engages with them — about public policy, politics, government and statewide issues. The “born alive” bill is part of a national Republican response to abortion advocates' efforts to roll back regulations on late-term abortions in states like New York and Virginia. Nine states have proposed versions of the "born alive" bill this year, and the measure has passed the North Carolina House and both chambers of the Minnesota legislature, according to Elizabeth Nash, state policy analyst for the abortion rights thinktank the Guttmacher Institute. "At the heart of the bill, the 'Texas Born Alive Protection Act' — it is designed to strengthen the protections to those babies who survive abortions," Leach said, surrounded by a huddle of the bill's dozens of co-authors. "Join me in supporting House Bill 16, showing the rest of the country — states like Virginia, New York and Washington, D.C. — that we’re going to continue to stand for life in this state." The measure passed 93 to 1. Fifty members were present but didn't vote at the behest of state Rep. Donna Howard, who gave a tearful speech that incited applause from the floor. "The aim of HB 16 is clear: further stigmatize abortion, misinform the public, intimidate physicians, and interfere with a woman’s ability to seek medical care," said Howard, the only representative who debated the bill. "To debate this bill...would legitimize its false information. We refuse to waste limited time we have here by entertaining malicious and purely political attacks against women and doctors." During the bill’s hearing, Leach said that the measure is “not about access to abortion." 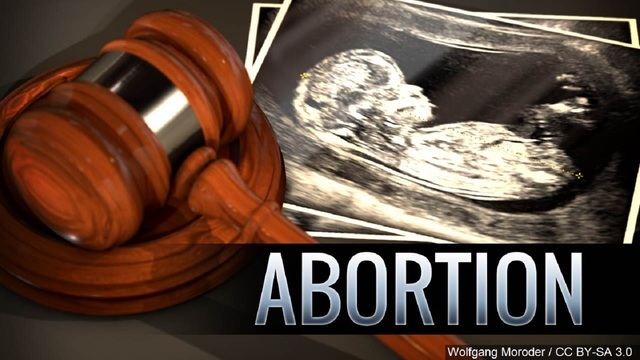 However, opponents say it would deter doctors from performing abortions. Critics also say the measure is a solution in search of a problem — that it's unnecessary because protections already exist and the situation is rare. This article originally appeared in The Texas Tribune at https://www.texastribune.org/2019/04/16/born-alive-abortion-bill/.